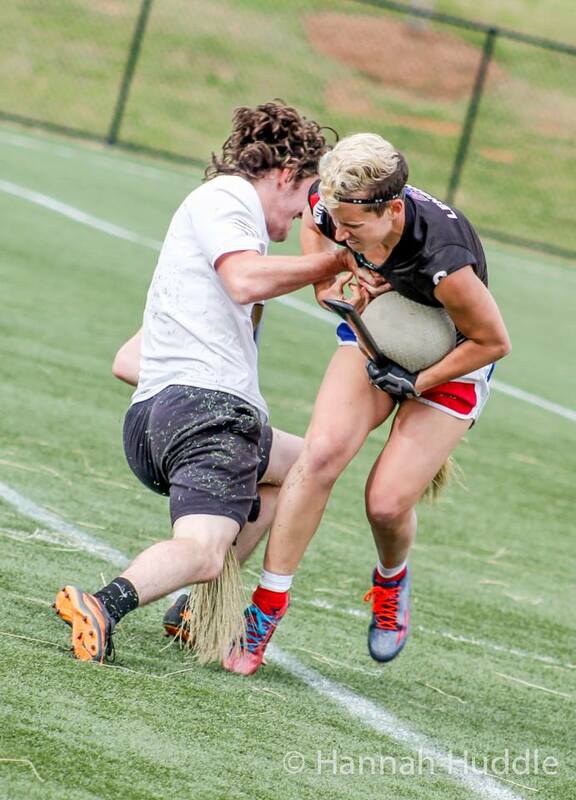 It has been more than five months since the Longhorns raised the World Cup 8 trophy in Rock Hill, and despite that rather large time gap, not all that much has changed in quidditch. Sure, we have got a new head of US Quidditch and a new name for World Cup that I am never going to remember, but the trends and storylines are very much in the same place they were when we boarded our flights from Charlotte. Community teams continue to gain ground on their school team counterparts, with such teams taking up 10 of the 20 spots in our preseason ranking. School team recruitment numbers from across the country have looked promising, but school team expansion prone to flat line for a second straight season. US Quidditch decisions on and off the field continue to baffle its player base, and we can only hope that a new leader with a sizable sports background—something somehow never seen in US Quidditch upper management—will manage to right the ship. It is a scary time for those of us who care about quidditch in the long run, but also an exciting time for all of the fans of the sport. A new season brings new star players, new storylines and exciting new upstart teams, and in just one weekend of competitive play, we have seen a little bit of all three. So welcome back to the water cooler, it is time to dive right in. In one of the best traditions in quidditch—or at least the best quidditch tradition named after a breakfast item—the Southwest gathered at Sam Houston State University for the fifth-annual Breakfast Taco Tournament, an unofficial preseason tournament. We’re going to do our best to draw some valid conclusions from it, but, like any unofficial tournament, our success may vary. How difficult is this one to assess? Well, it depends how much you buy the fact that two of the best three keepers in the region last year — Jacob Bruner and Augustine Monroe — will spend the season as beaters. That arguably the best beater in the region last season — Ryan Peavler — will be moving to keeper for Gulf Coast Gumbeaux. That Texas will, for the first time ever, not take massive strides from the first look we get of them in September. – Lone Star Quidditch Club is scary good, and rolling through the Southwest without a snitch range game, despite missing a sizable chunk of their roster, is a statement if I’ve ever seen one. More on them in the next section. – Texas State is leaning heavily on Jackson Johnson right now. Lucky for them, he looks like he may have developed into the best beater the Southwest has ever seen. What made his dominant finals performance so impressive wasn’t just that he had the arm strength, accuracy and athleticism to make all of the necessary beats, but that he did it all with an incredible field awareness that allowed him to frequently leave the Lone Star beaters bludgerless. There was never a moment where he was frozen in space, he was always doing something, whether it was making getting the third bludger more difficult to get for the opposition, or getting an early beat on the offensive beater before the quaffle carrier had even gotten there. Eric Reyes, Romie Lof and Tyrell Williams had solid days, but like the Lost Boys and Q.C. Boston’s of the world, Texas State is starting to look like a team built around a star beater above all else. – Texas is still an amorphous blob. With Michael Duquette missing out on bracket play — and playing limited minutes while he was there — and the team giving heavy minutes to brand new players, it was hard to expect too much from them. And even so, they scored a pool play victory over Gulf Coast Gumbeaux and a bracket play victory over Baylor before falling to Lone Star. I’m willing to give them the benefit of the doubt and wait until their first official games to start drawing conclusions on the defending champions. – Texas A&M may be getting the most improved this season award by default, but they definitely earned it with a win over Baylor and a snitch range game against Texas State in the semifinals. The Aggies beating game was notably better, but their chasing could still use some work. It will be up to Keegan Adlis to continue to mold this team into a coherent unit if they hope to threaten the top tier of the region. – Texas Cavalry is also going firmly in the “TBD” folder. The depth just isn’t there, and the fact that Augustine Monroe and Kaci Erwin were more or less forced into full-time roles as beaters is stretching the team’s biggest strength — the first quaffle line they could hypothetically role out — incredibly thin. But with almost all new non-male players, and with Eric Bilanowski as the team’s only other real male beater, the squad currently doesn’t have much of a choice. Developing this team quickly is going to be a tall order, but will be absolutely critical to success. – Baylor is clearly feeling the loss of so much of their top level talent. Breakfast Taco was probably their most pedestrian tournament performance in years, and outside of putting Jacob Bruner back where he belongs at keeper, there’s no exciting reinforcements coming down the pipe until Brittany Ripperger makes her potential return in January. The Bears just need to close ranks, drill their players on their system, and hope things start clicking sooner rather than later. – Gulf Coast Gumbeaux has more male beater than they know what to do with. And, as the team chose not to go to a two male beater set this weekend, this led to the likes of Ryan Peavler at keeper. The LSU offense was built around using its gigantic beater advantage to create holes for Brad Armentor to drive through, but without Armentor — for now at least — the offense is going to need to figure out other options. Still, the addition of three former Texas State players in Peavler, Richard Kemp and McGarrah leaves this team with far more talent depth than those old Tigers teams did, and even if the Gumbeaux have trouble putting points on the board, their beaters are good enough to keep scores low. The ceiling may not be that high for this squad, but the floor definitely is. No one is going to look forward to seeing Gumbeaux all season. 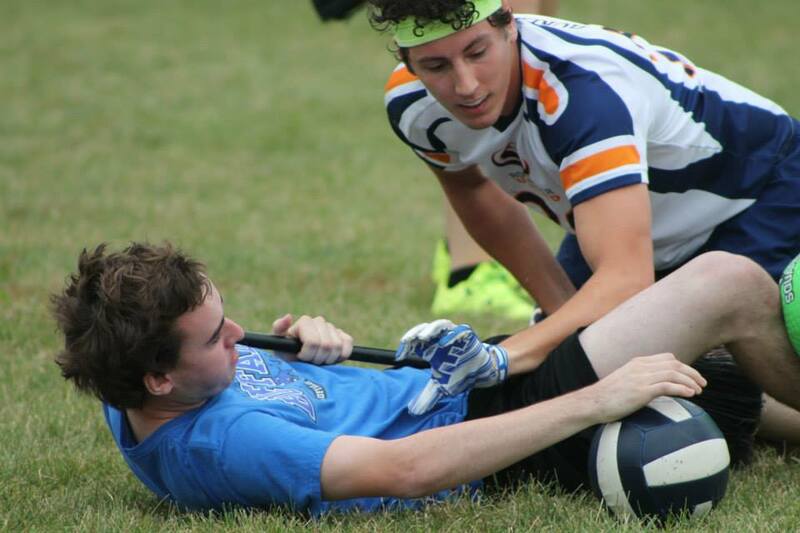 Lone Star Quidditch Club and Rochester United entered the weekend in similar situations. Each was a community team that was considered the biggest fish in its pond, but each had failed to necessarily assert that dominance in the past. Lone Star has always been played tough by the top tier of Southwest teams, most notably falling to University of Texas at Alamo Cup last February before dropping games both to Texas State University and again to the Longhorns at World Cup. Meanwhile, Rochester United’s two main constituencies, University of Rochester and RIT, have long sat on top of the Snow Belt Conference hill, but have always been prone to shocking results, including third and fourth place finishes in the conference two seasons ago and an early season loss for Rochester to SUNY Geneseo this past year. But in their opening matches of the season, at Breakfast Taco and the Snow Belt Season Opener, respectively, none of those potential kinks in the armor reared their ugly heads. Neither team played a single snitch-range game, with Rochester United dominating RIT 220*-30 in the finals of the tournament, while Lone Star handled Texas State 210*-100 in the Breakfast Taco final and scored wins over Texas Cavalry and Texas earlier in the day. Of course, the early season caveats apply—and I am going to get so tired of this disclaimer by the end of this article—with Lone Star playing in an unofficial tournament, and both teams largely playing against school teams with young rosters that they are still developing. Even so, these types of results have been generally unprecedented, even so early on. What is perhaps most impressive is that there is no reason to think these teams will be stymied developmentally, while the chasing pack catches up, because both teams were missing key contributors this weekend. Lone Star managed to make the rest of the Southwest look like nobodies, with depth that seemed unmatched throughout the day, despite playing without Simon Arends, Stevie Bell, Drew Wasikowski, Kedzie Teller, Nichole Galle, Joshua Tates, Hope Machala and Sarah Holub—more than a third of its ideal roster. Add in Eric Willroth and Mollie Lensing, who are both out injured but could figure into the team’s long-term plans, and you start to realize Lone Star could go relatively far upward from this weekend’s results. Rochester United, for its part, was without Jon Jackson, who has committed to the team despite attending graduate school at Pennsylvania State University, one of a multitude of community team player recruitments that can be tracked directly to Major League Quidditch. Jackson is a force defensively—one of the most talented defensive keepers in the game—and was one of Rochester Whiteouts’ main offensive contributors, and adding him into an already dominant roster spells trouble for the rest of the conference. We will all have our first chance to see what he can do when the team travels to Turtle Cup this weekend. As rosy as this section has been, there are definite concerns facing each of these two squads. For Lone Star, it is—as it always has been—its beating. There is simply no nice way to say this: Jackson Johnson spent the entirety of the finals making the Lone Star beating core look like it had never played quidditch before, creating countless no-bludger opportunities, goading Josh Carroll into a pair of yellow cards and doing it all with questionable contributions from his partners. If Johnson had chosen to play the whole game, a decision he may have made in an official game, the finals could have been a completely different story. Lone Star will need major contributions from Machala and Holub, as well as the continued development of the beaters it did have this past weekend, if the team hopes to hold off top 10 opposition with elite beating units. Rochester United, meanwhile, is going to need to figure out how to cope with a complete lack of depth at the non-male positions. The Whiteout struggled this season when Lisle Coleman and Anna Parker were out for matches, stretching Sara Smacher extremely thin to try to make up for it, and United does not even have the option to go to them, as both are still playing for the University of Rochester. The team has similar fears at non-male chaser, where there are sizable question marks in the depth chart behind starter Alyssa Giarosso. These issues did not show up as the team cruised through its Snow Belt matches, but in a more competitive tournament, where injuries are more likely, the wrong bad break could spell serious trouble for Rochester. The early rounds of World Cup bracket play are a quidditch analyst’s worst nightmare. There are too many competitive games, all happening at the same time, and game tape is almost non-existent. Either you were at the game, and realistically, you would be lucky to have seen more than one or two, or you are stuck with nothing but secondhand accounts to go off of, and even those are usually straight from the players themselves, who obviously carry an inherent bias. The most disappointing result of this is the teams whose breakout performances are more or less lost to history. They score a couple huge wins early in bracket play, but still get knocked out early enough to remain unnoticed, and with nobody caring about quidditch for the following five months, they get minimal recognition when the new season begins and have to start all over. World Cup 8’s best example of this may very well be the University of Virginia. After an underwhelming fall semester that ended with a loss to George Mason at the Mid-Atlantic Regional Championship, the Wahoos kept the University of Maryland and UNC in snitch range during a pair of pre-World Cup matches before rolling off wins over Texas Tech, UCLA and Tufts University, outscoring Blue Mountain in quaffle points and hanging around with the Lost Boys for awhile in the Sweet 16 before finally falling at World Cup. Virginia was smart, calculated and methodical, systematically picking apart teams on offense with a passing game focused on moving the ball around the top of the zone to create and opening, and a defense that tried to take away what you do best and force you to beat it another way. Of course, the Wahoos’ surprising run got almost no attention, and when the new preseason polls came out, the squad earned a whopping two votes. 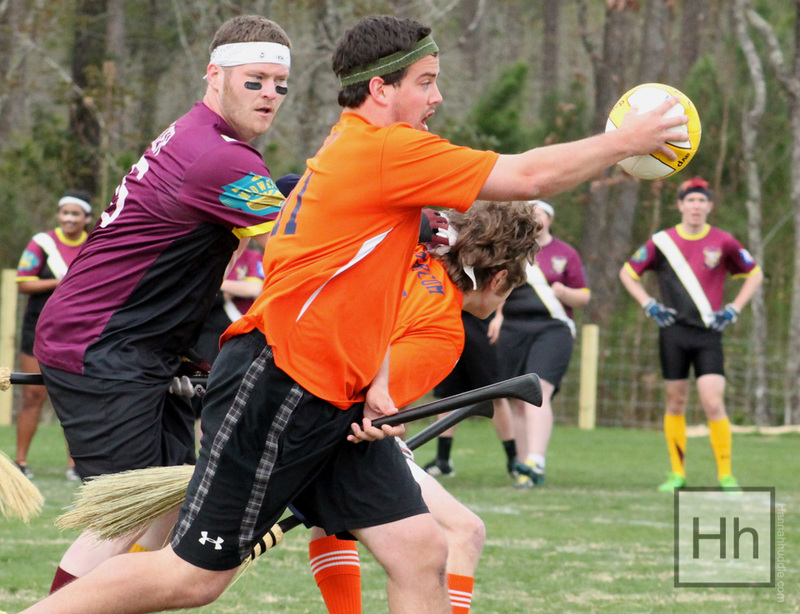 Looking to prove the critics wrong, Virginia came out this weekend at the Jim Mitchell Memorial Quidditch Kickoff and… promptly dropped a match to George Mason University, 60*-50. So what do we make of this team? Well, realistically, the result this weekend is not all that surprising. Virginia, as I said, is a plodding, methodical team that is a nightmare for a Top 20 squad. But it also means it does not have that gear it can go to against lesser teams, that superstar athlete that can score 10 goals against weaker opposition. So no matter how effective the Wahoos can be against the top teams, it does not change the struggles they will have against the rest. It will be up to captain Erik Morlock to change that going forward. George Mason, meanwhile, may finally be coming into its own in the new season. Returning much of the roster it had last season, including a number of players who gained valuable experience playing for the Washington Admirals over the season, and also rumored to be adding Sam Gaffigan, formerly of Maryland, Captains Jonathan Milan and Ben Mertens have more talent to work with than ever before. Scoring wins over not just Virginia but the University of Richmond as well speaks volumes about what the Patriots might be capable of this year. As great as this weekend was for George Mason, and as poorly as it went for a Brendan O’Connor-less Richmond, the conclusions from this tournament will not be far reaching. By the time Turtle Cup is over tomorrow, the pecking order in the Mid-Atlantic will be far better defined, and all four of the teams that competed at Jim Mitchell will have the opportunity to further assert themselves, or totally flip people’s opinions of them.